Remember the first time you took the plane? The feeling of excitement and some may experience fear and trepidation as the airplane took off the ground. Going up to handstand and inversion are just like that. Come and learn how to integrate the shoulders to make them strong, working the core and legs in order to balance when in upside down poses. Foo and Junko will offer the male and female perspective of working up to the arm balances and inversion and each other's "secrets"! Once you understand the skill and technique to lift your body off the mat, you will able to continue with your own practise. Come and discover your potential and continue to grow beyond your perceived limitations. Do you have knee problem? Or perhaps you would like to get more flexibility in your hip so that you can work your way to lotus pose or front split? In this session you will learn how expand your hip and work the thigh, hamstring and other related muscles. Foo and Junko will teach you how to release the hip tightness. Once you have more freedom in your hip, you might feel some relieve on your knees. Do expect to work hard and see your dedication to bear fruits!!!! Konstantin is an international yoga teacher and founder of Vikasa Yoga studio based in Koh Samui, Thailand. He has been passionately learning, practicing, and teaching Yoga for over six years, and his passion has lead him to search out his own personal development throughout the world. This quest has brought him into contact with many different schools and masters all over the world, in places such as Rishi-kesh, Uttar Kashi, Gangotri, Kerala, Goa, Canada, Thailand, Hong Kong and Ukraine to name a few. He has completed teacher trainings in three different disciplines, including Ashtanga Vinyasa, Yoga 23 (by master Andrei Siderski) and Sivananda. Such an overwhelming wealth of knowledge has led to a deeper understanding of yoga practice as an ever evolving process – rather than a finalized system, as a tool for evolution of a human being – rather than a goal in itself. Hence, the concept of “Evolution of Yoga” was born. The concept of “evolution of yoga” is based on the notion that everything in the world evolves constantly, including human beings. Our primary goal as a human race and that of any living organism is evolution, and yoga can be seen as a tool to facilitate such evolution in any given individual. However, as the practice of yoga itself changes with time and place, as new techniques are being introduced, the approach is becoming more technical, precise and scientific, any definition of it as a system or style seems to be a limitation in itself. Therefore, the “Evolution of Yoga” approach has to be seen as an ever-evolving process, based on classical hatha yoga techniques, which anyone can be a part of, rather than a complete static system. - How to and develop strength in your hips, shoulders, knees, wrists and back. During this 2 hours we let go of space and time and div into mindfulness and effort. We begin by observing the mind, conscious breathing and flowing through some sun salutations. After we will deepen and explore a wide range of classical asanas, carried by the flow of our breath. On the end we allow ourselves to witness our own mental and physical relaxation in savasana. Yin Yoga is a complementary yoga practice to the more dynamic yoga styles. Yin Yoga nurtures energetic balance, relaxes us closer to the skeleton and opens the subtile energy channels to let energy flow freely again. This leads us to experience a profound sense of inner calm, with allows us to sit in meditation more peaceful. Jack began practising yoga in 2008. Started out with only the aims of improving flexibility and reducing body weight, little did he know that he will embark on a journey of self transformation and spiritual fulfilment, as he witnessed the way yoga stretches not only his body but also his mind. Following on with his passion, Jack received his yoga intructor certification from SVYASA, Bangalore. "You will recognize your own destiny when you come upon it, because when life is an expression of your deepest purpose, you will suddenly have all the energy and strength you will ever need". Jack has a strong interest in acro-yoga and had the opportunity to learn from Marc Bauchet. In addition to his regular teaching schedule, Jack often conducts workshops and retreats. He finds much joy in yoga and aspires to share his discovery and knowledge with all the yoga enthusiasts. Tyler started practising yoga in the gym. Since his exposure to yoga, Tyler found himself greatly benefited, both physically and mentally. Eventually he quit his gym regimes and concentrates fully on his yoga journey. He underwent Yoga Teacher Training in 2008 and was certified as a yoga instructor by SVYASA, Bangalore. Tyler lives fully committed to the gift that is freely given to him, and he is determined to cultivate it into a state of profound mastery. He believes that yoga is not merely a physical exercise. It is not about how many postures one can do or how long one can hold in a posture. It is about the benefits one can derive from doing the right postures. 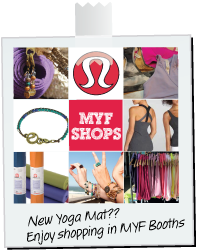 Tyler teaches yoga at Y elements studio and can also be reached at HYPERLINK "http://y-elements-studio.blogspot.com/" http://y-elements-studio.blogspot.com/. Basic partner yoga class allows students to work together and assist each other to enhance their postures in depth and practise simple therapeutic flying. This is the time to start the flow of communication between partners, besides building awareness of the partners. This class is suitable for all levels. Intermediate partner yoga class requires more strength and flexibility from the students. Students will fully utilize their range of movement, strength, flexibility and balance for the flow. For the most dynamic expression of this work, it involves communication, confidence, trust, concentration and visualization. Acrobatic asana – front bird to shoulderstand, bird to bow, folded leaf to prasarita twist, bat to floating paschimottanasana, straddle thone and the variation, and etc. During this period, she has taught Yoga for 6 years and has also been involve as to being Personal Trainer, Fitness Instructor, Pilates Instructor, Group Exercise Instructor from Ann’s Academy. Out of personal interest, Annie learned belly dancing and is now also a belly dancing instructor. Annie hopes to equip her students with knowledge, techniques and attitude that can lead them to healthier and enriched lives. Ensuring the participants are equipped with passion and enjoyment throughout their classes is fundamental. This resulted from lending her ears to her students, knowing their goals, needs and individual limitations. “Fun = Yoga” is her motto, then, now and into the future. We combine poses from classical Yoga into a powerful sequence that strengthens all your muscles and – for many people – improves mental balance and creativity. Riyo is a BODYBALANCE Program Coach/Trainer/Presenter and BODYVIVE Presenter for Les Mills Asia Pacific. She finds a joy in spreading these programs through South east Asia to create a fitter planet. Exposed to various styles of Yoga, her early practice led her to complete RYT200 program with David Muehsam in 2004. She has been teaching Yoga since then, promoting to nourish the body through Yoga practices. Currently she teaches Flow Yoga at Fitness First Malaysia. Thomas Yu have been teaching & practicing yoga for more than 7 years. He practices ashtanga and flow vinyasa specializes on arm balance. He believe that Yoga is a part of his life. Thomas currently teaching Dynamic flow, Gentle flow , Hot flow and Core flow at and heads Flow Yoga at Fitness First Malaysia. Thomas quote daily practicing of yoga helps calm to the mind and body from stress..